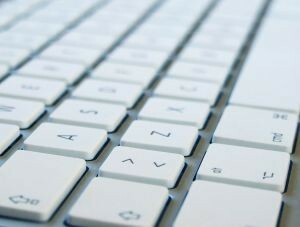 According to a recent article from the Milford Patch, a Sharron, Massachusetts woman was allegedly responsible for two-car accidents while under the influence of keyboard cleaner and marijuana. Police first responded to a report of an erratic driver made by an off-duty officer. The off-duty officer said he saw defendant crossing the double yellow lines on Route 16. Around this same time, another caller told police someone hit her car as she was exiting a local supermarket. A short time after this accident, defendant was allegedly involved in a second accident in close proximity to the first. Police arrived at the scene of the second accident. Defendant reportedly admitted to police she was huffing keyboard cleaner (normally compressed air with a propellant gas) and had smoked marijuana. Police found a can of keyboard cleaner and a marijuana pipe in her car at the time of her arrest. Both accident victims were reportedly injured in the separate car crashes, but neither is listed as being in serious condition. Massachusetts prosecutors charged defendant with operating a motor vehicle under the influence (OUI) of intoxicating drugs, failure to stay in marked lanes, leaving the scene of property damage (hit-and-run), failure to yield, and inhaling a toxic substance. It should be noted, while air duster cans are obviously legal to own and use, it is illegal to use them to get high and then get behind the wheel of car, just the same as if it had been an illegal drug or other controlled substance. As our Boston car accident attorneys can explain, driving a motor vehicle under the influence of an intoxicating substance is not only a crime, but can also be used to establish a case in civil negligence. When someone is under the influence of any intoxicating substance, medical research has established a person is not able to respond to visual and auditory stimulus in time to safely drive a vehicle. While we most think of drunk driving, the National Highway Traffic Safety Administration (NHTSA) has done extensive research into the effects of drugs on the human body in relation to one’s ability to safely operate a motor vehicle. NHTSA has specialized programs to train police officers to identify the signs of drug use while driving and have a certification program to make officers Drug Recognition Experts (DREs) who can testify in court and form an opinion as to whether a driver was under the influence of an intoxicating drug. The reason this is important, in terms of a civil car accident lawsuit, is prosecutor may have a DRE testify during defendant’s criminal case, and your Boston car accident lawyer can use the recorded created in the criminal case to help prove your civil case. This may mean a quicker settlement or a better result at the trial, should a trial be required. One of the most important things you can do if you have been involved in a car accident caused by a drunk or drugged driver is contact your attorney before answering any questions for the prosecutor. While he or she is interested in obtaining a criminal conviction, your rights in a civil lawsuit may not be among their top priorities, and you want someone who is truly on your side fighting for your rights to a full and appropriate financial recovery.